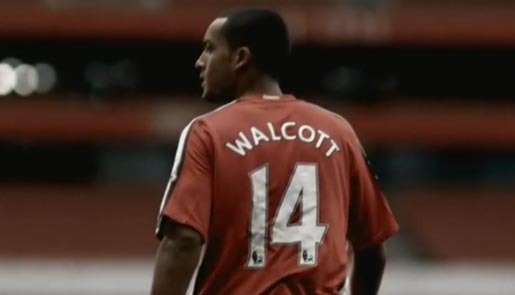 Theo Walcott, a member of England’s football team, appears in Nike’s advertising campaign, even though he isn’t in the squad competing in the FIFA World Cup in South Africa. The commercial was launched in August 2009, well before the final team was announced. Theo’s lightning pace terrifies defenders and turns games. But it’s never enough. To Make the Difference, fast must be fused with an insatiable hunger to be better. To be more than any opposition can handle. Every single week. The Theo ad was developed at Wieden+Kennedy, London, by creative directors Stuart Harkness and Shay Reading. Filming was shot by Ben & Jo Dempsey via Knucklehead, London, with producer Matthew Brown. Editor was Joe Guest at Final Cut. Post production was done at The Agency, Johannesburg. Sound was mixed by Anthony Moore at Factory Studios, London. Music was composed by Johnny Green at Nylon Studios, New York.